There is also a restrictive (limited) type of this disorder. The lower chambers get tough while the walls of this primary life organ remain the same. It prevents the heart muscle from relaxing and fulfilling its functions correctly. 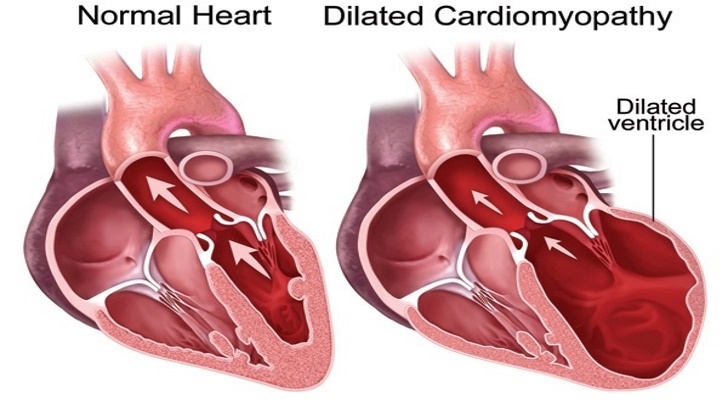 As the time passes by, the cardiomyopathy prevents the heart from pumping the blood. The heart valves may suffer; patients also risk facing heart failure. Finally, there is an Arrhythmogenic right ventricular dysplasia. This phenomenon cannot be noticed often. The patients face a serious problem: some fatty tissues remove the healthy muscle tissue. It happens in the right lower chamber of the heart. As a result, the electrical signals break down. Most of the time, such issue is experienced by children and adolescents. People who do sports can face this problem too.